Day 4 Cornwall Counties and another exciting day for lots of Truro City Swimmers. Firstly, a big apology to Rachel Mitchell who was not thanked yesterday for doing an incredible job of helping to manage the team poolside for much of the day: Thanks Rachel, we have dug a photo out of the archive to say sorry! A brief run through starts with the Girls 200 Free where Izzie Leigh and Anya Hocking both won age groups, Daisy Leigh and Nia Bailey-Jones each won silver and Abbie Downing a bronze for the 14yr age group. Izzie was 1st overall girl in the 10-15 age group and Anya 3rd. The boys 200IM followed with Golds for Elliot Stoddard and Sam Norton, silvers for Rory Sim, Josh Leigh, Harry Polkinghorne, Samir Poppy and Thomas Trebilcock. Harry was 2nd overall in the boys 10-15. 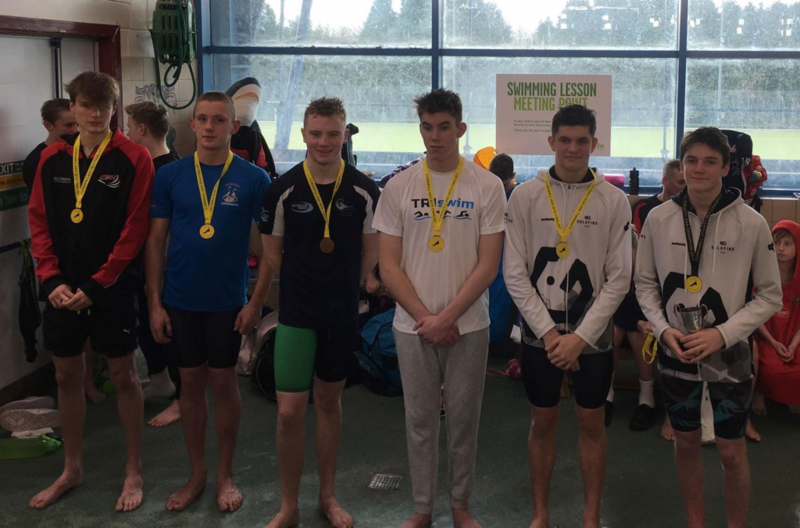 In the 50 Fly Elliot Stoddard, Adam Matthews, and Anya won golds, with Nia, Izzie, Josh Leigh, and George Mitchell winning silvers and Maisy Polkinghorne and Daisy L, Henry Hocking and Robert Brittle bronzes. In the 200 back Truro swimmers won a fantastic 3 golds – Nia, Henry Osborne and Izzie, and 2 silvers for Daisy Leigh and Josh Leigh and bronze medals for Rory Sim, Henry Hocking, Samir Poppy, Ella Huddy, Lillian Roche. Overall 10-15 was won by Izzie, with Nia a fantastic 2nd. The final evens of the day were the 100 Fly for the boys and 100 free for the girls. In the 100 fly Elliot Stoddard won his age group while Henry Osborne and Thomas Trebilcock were 2nd in theirs and George Mitchell and Robert Brittle were both 3rd in age group. The 100 Free saw a gold for Anya, silvers for Nia and Izzie and bronze medals for Maisy Hawkins and Rosie Boulton. Once again, thank you so much to all of the volunteers today: Mark Norton, Rachel Poppy, Carlos Roche and Kim Farmer who assisted Emily Dart and Matt Trewhella with the team and also to the officials David Jones, David Osborne, Allan Dodd, Peter Hocking and Referee Dan Corbett and Iona Stoddard. Any ammendments, corrections, additions please message this page asap. Please send in any photos to be added to the album.